A soothing water odyssey is yours with Con-Serv handheld showers. 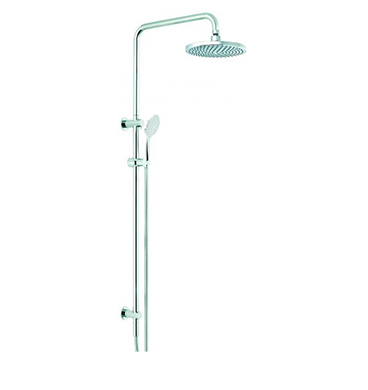 All handheld showers are 3 Star-9L/min WELS Rated. 3 Star-9/L min WELS Compliant. Minimalist beauty and high performance come together to create a variety of contemporary showers offering total rejuvenation while utilising the best in water conservation technology. Mix and match Con-Serv showering components to create your customised showering environment. Choose from slide rails with easy to adjust friction sliders that accommodate various heights to wall mounting brackets that provide dual check back flow prevention. Select your handpiece from our Breeze Pulsator, Champagne Pulsator, Heritage, StreamjetTM, Streamjet XL, Streamjet Turbo or Princess handheld showers which are all 3 Star – 9 L/min rated as per WELS licence number 0046.